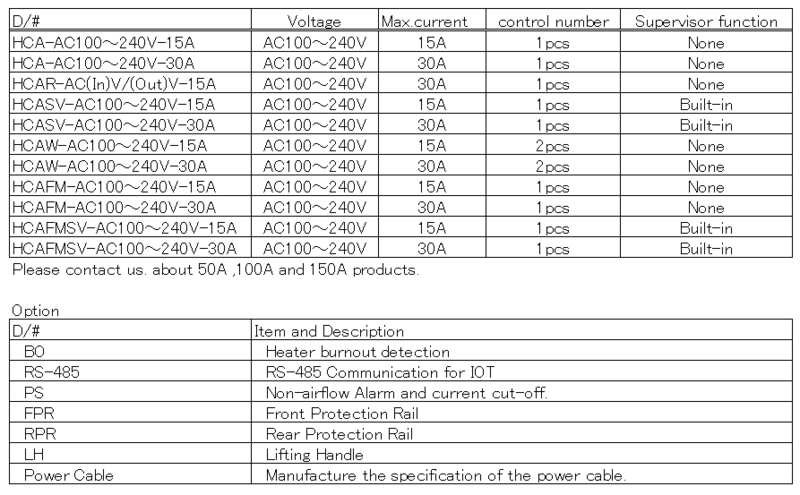 HCA series can not control the halogen heater. 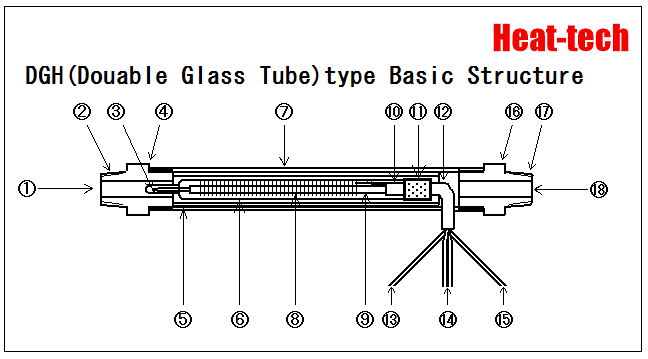 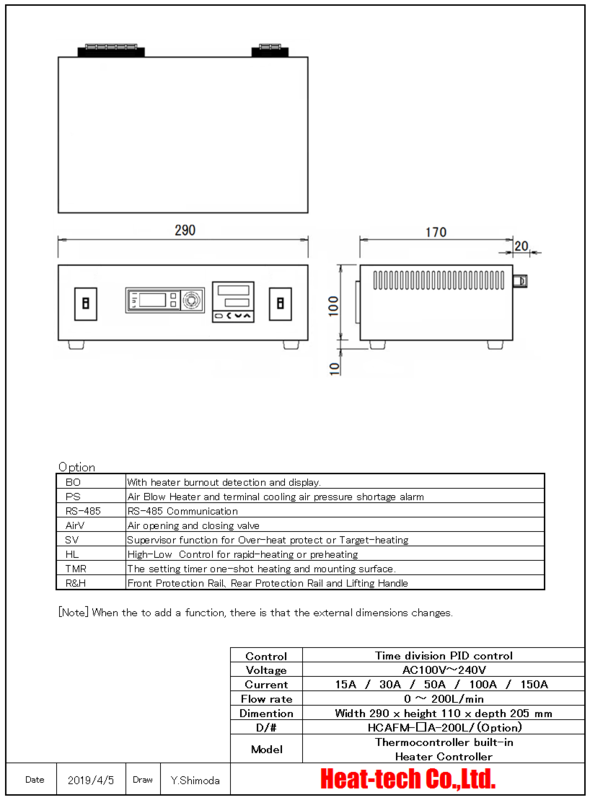 The control of the halogen heater recommends HCV series, HHC2 series, and SSC series. 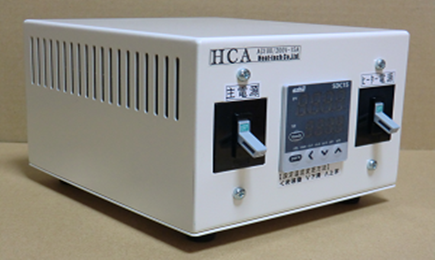 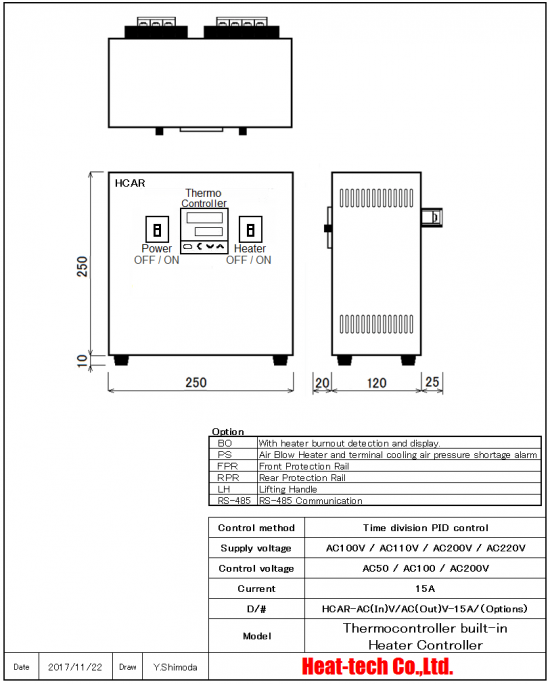 HCA has a built-in high-performance temperature controller, handling is easy. 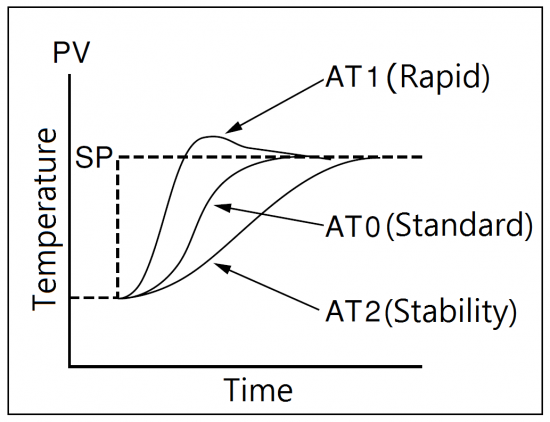 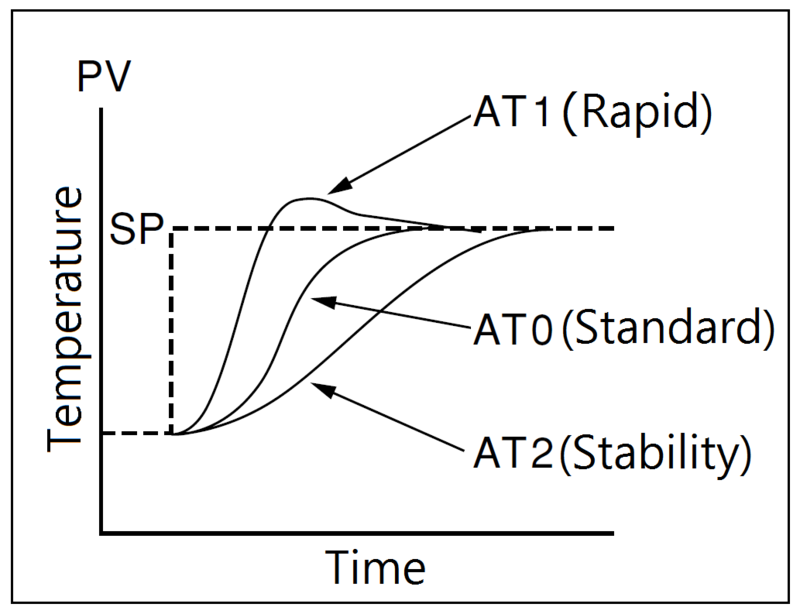 *HCA has initially set to AT2 (Stability). By overheating zero setting, providing a stable heating. 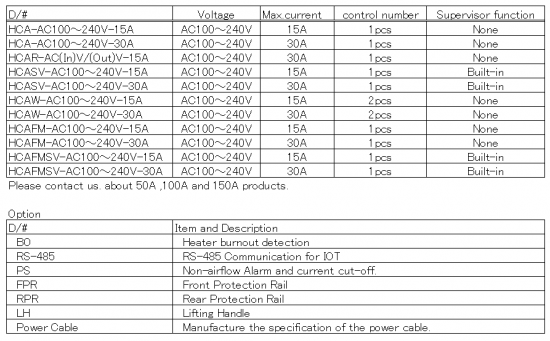 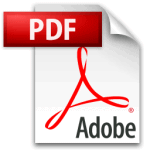 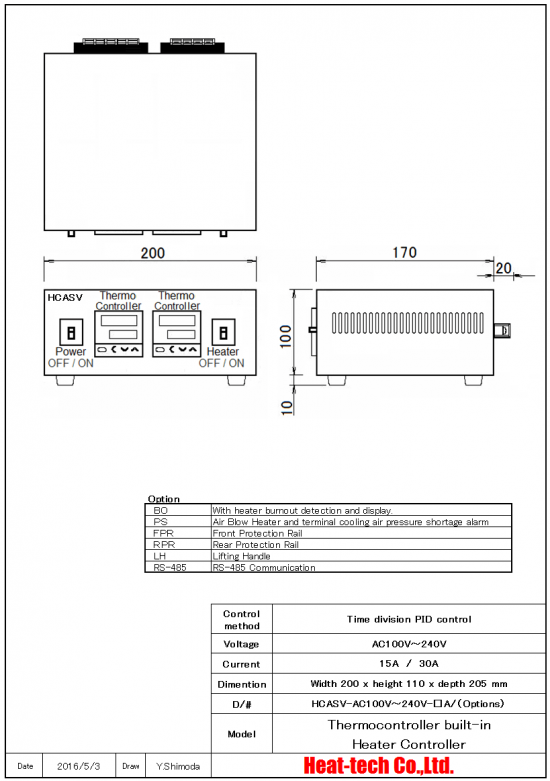 Adjust the specified power supply voltage to the specified voltage and control the heater. 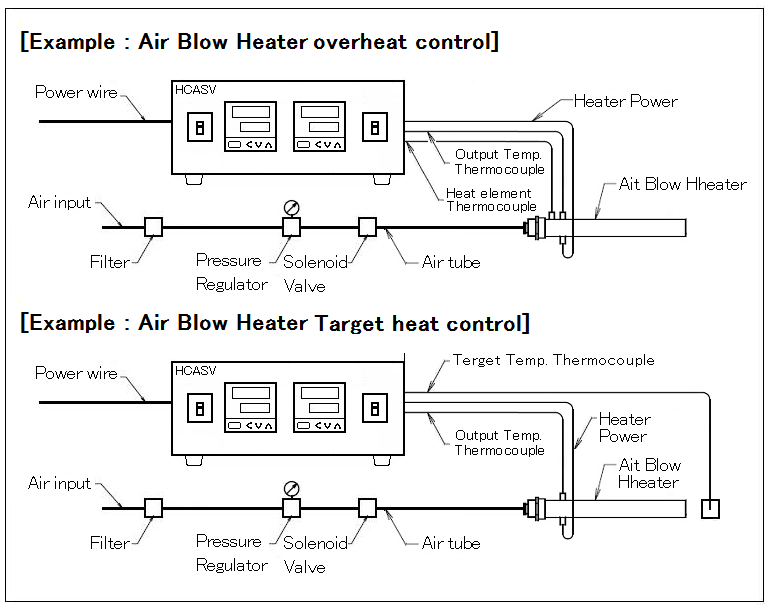 In a hot-air outlet thermocouple input, it will control the hot air to the proper temperature. 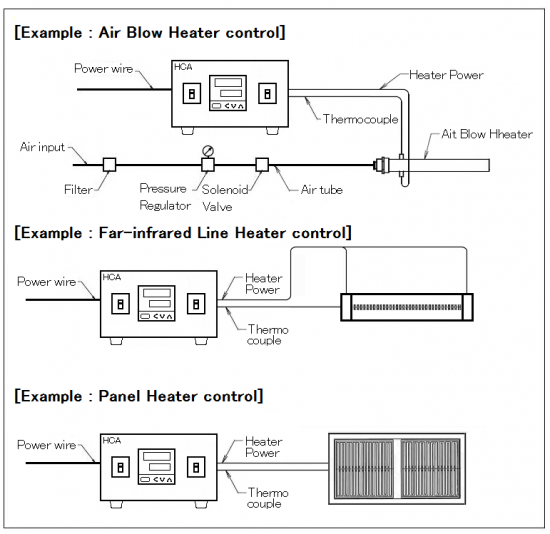 It will monitor the excessive rise in temperature of the Air Blow Heater in the heating element temperature thermocouple. 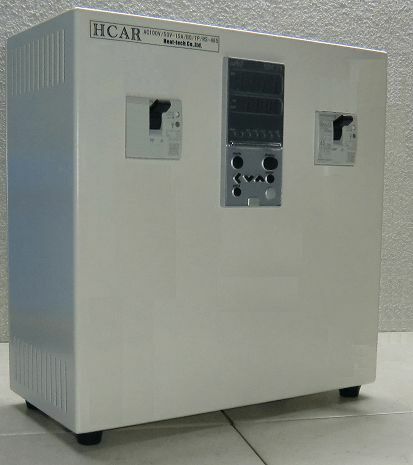 When the excessive temperature rise occurs, it will send an alarm to cut off the heater power supply. 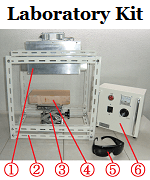 The target thermocouple input, it will control the object at an appropriate temperature. 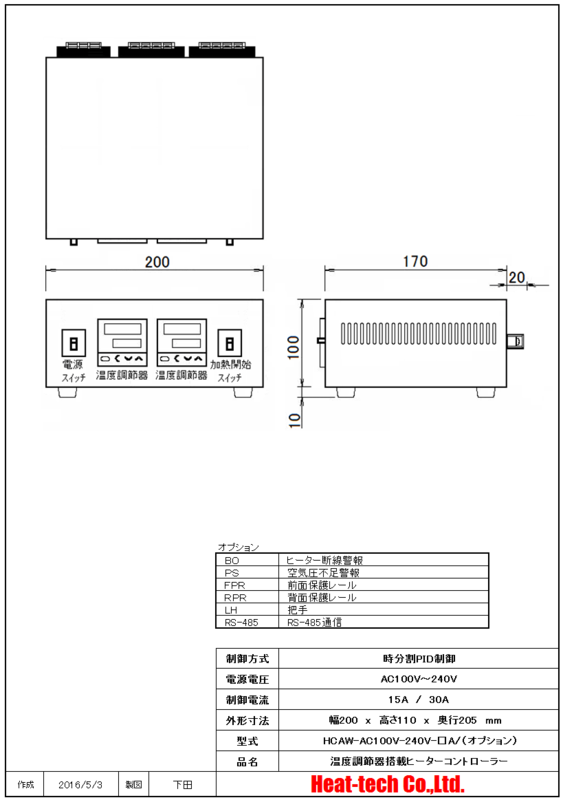 It will monitor the excessive rise in temperature of the hot air heater in a hot air exit thermocouple. 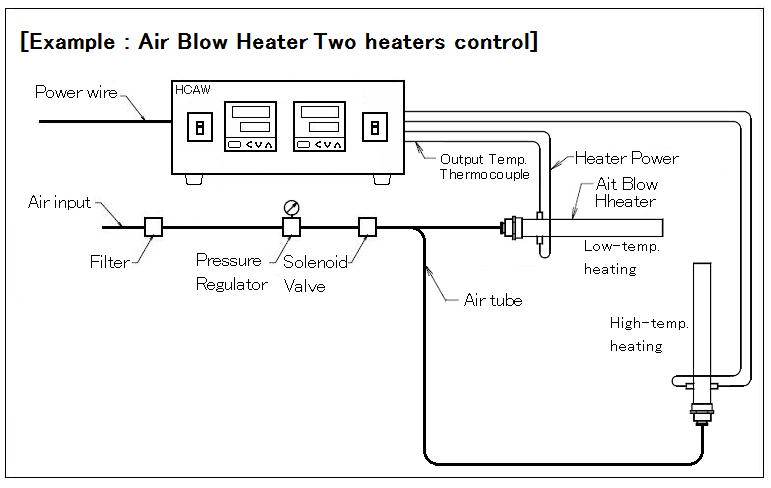 This is able to control two the Air Blow heaters at the same time. 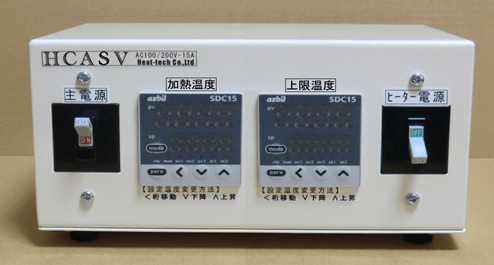 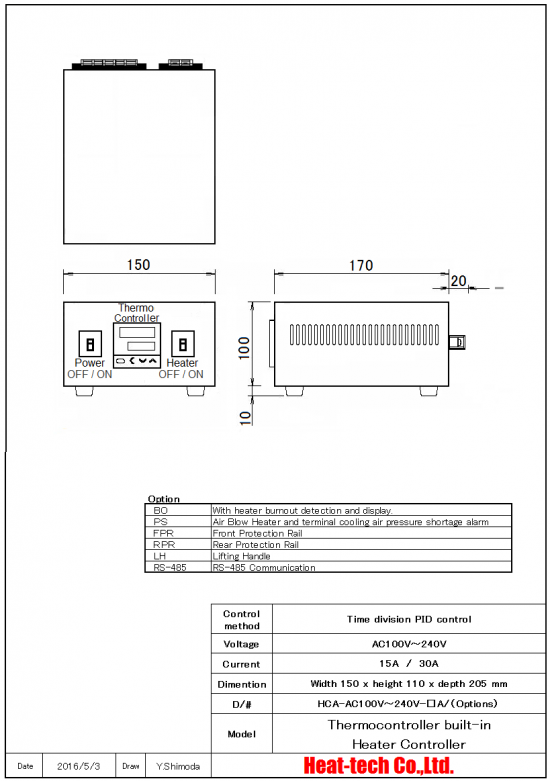 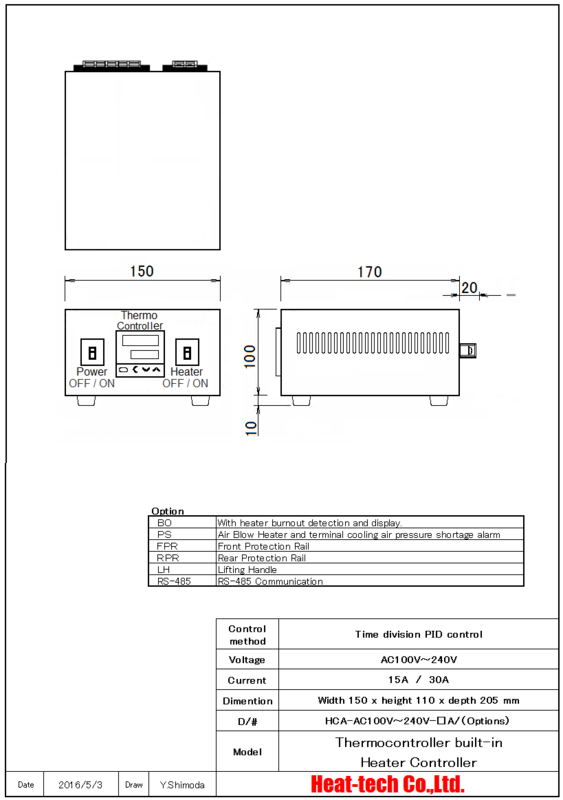 Since the temperature controllers are equipped with two, user can set the individual temperature. 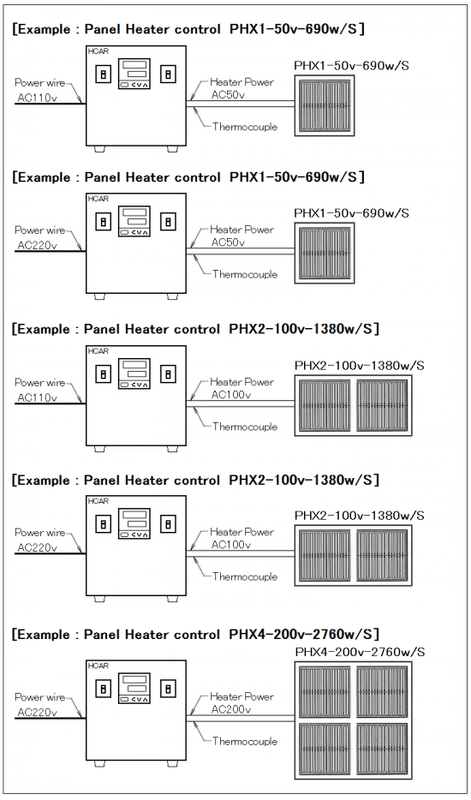 Since the main power switch and the heater power switch are separated, user can start the heating after the temperature setting. 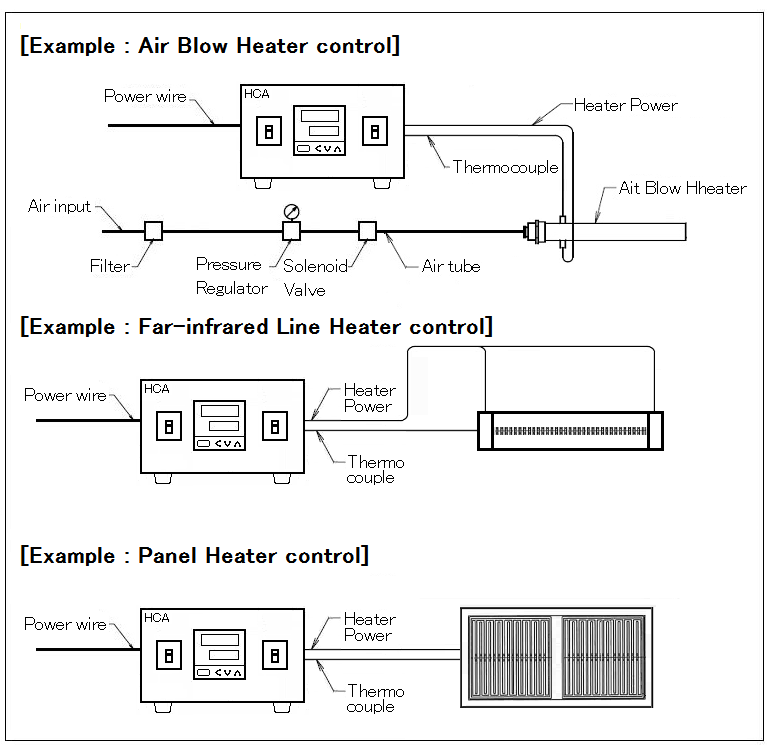 Temperature control and flow control of the Air Blow Heater can be performed. 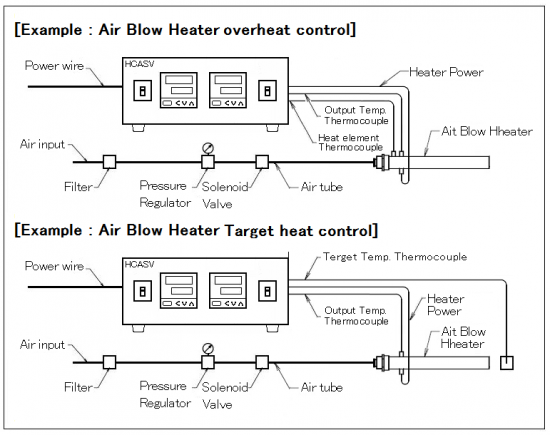 The flow control valve can adjust the flow rate. 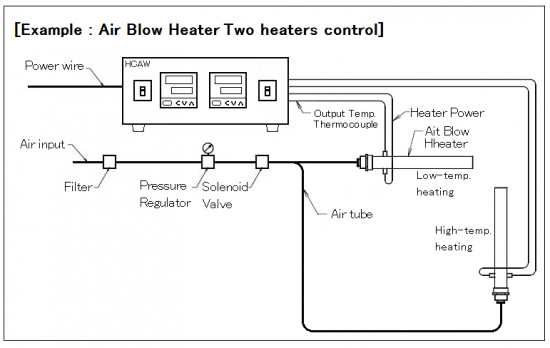 The built-in no-gas heating prevention function and prevents heat damage to the heater.